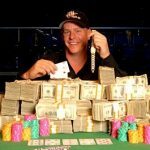 The 2015 Poker Hall of Fame selections have been made and, although some names left out will disappoint many, those inducted have impressive resumes. John Juanda and Jennifer Harman will be honored at Binion’s Gambling Hall, the original home of the World Series of Poker, on November 6. The pair of poker stars became well known around the world following the Chris Moneymaker poker boom in 2003, appearing many times in televised poker events and shows. The short list of nominees was impressive, with the likes of David Chiu, Matt Savage, and the late David “Devilfish” Ulliott failing to get enough support. 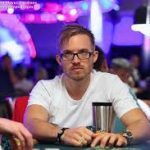 Ulliott was a popular pick around the poker community after passing away recently. Maybe next year. Few would argue that Jennifer Harman is one of the greatest, if not the greatest, female poker player of all-time. Beyond being a talented poker player, she has meant a great deal to the game. Harman has nearly $3 million in lifetime live tournament winnings, but her main claim to fame is being a high stakes cash game star. For many years, Harman has played in some of the biggest games in Las Vegas in casinos such as Bellagio and Aria. Back in the earlier part of the century, Harman was a fan favorite, routinely competing in popular televised poker events such as the World Series of Poker and Poker After Dark. Her likeable personality, talent, and attractive appearance made her a popular figure. Harman, along with her good friend Daniel Negreanu, and other poker legends, played integral roles in bringing poker into the mainstream in 2003. She also deserves credit for attracting more women to the game of poker. Like Jennifer Harman, John Juanda was part of the group of players that helped grow the game to new heights. Juanda was never an outspoken character. He isn’t a loudmouth like Mike Matusow or an attention-seeker like Phil Hellmuth. He lets his chips to the talking for him. Juanda’s $17 million in career live tournament winnings is good for 5th all-time. His most recent big victory came this year at EPT Season 12 in Barcelona. His first place finish brought him $1,164,034. That was hardly his first huge win. Juanda has 5 WSOP gold bracelets and 65 cashes. The Indonesian-born poker legend with an MBA from Seattle University, has been a consistent performer in high stakes poker tournaments for many years. Juanda also deserved induction due to his character. He has earned the respect of his peers throughout the poker community for his conduct at and away from the table. Most poker players and fans would agree Juanda and Harman are deserving. As for some of the names that were left out this year, that’s a different story and a topic for another day. They are both great respectable poker players. Glad to see they were inducted. It’s good to see those two join an elite field .